The Raspberry Pi is a single-board computer developed in the UK by the Raspberry Pi Foundation. A credit-card sized computer that plugs into your TV and a keyboard, it's a capable computer which can be used for many of the things that your desktop PC does, like spreadsheets, word-processing and games. It also features Media Center capability and high-definition (HD) video playback capability. Because it has an ARMv7 processor, it can run the full range of ARM GNU/Linux distributions, including Snappy Ubuntu Core, as well as Microsoft Windows 10 IoT Core. 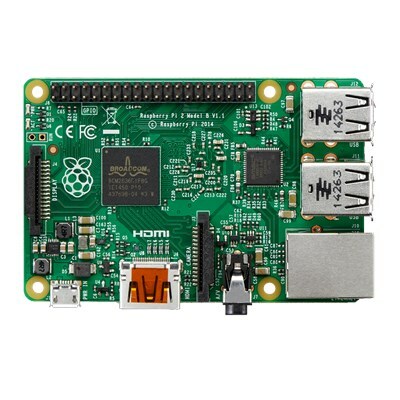 The Raspberry Pi 2 has an identical form factor to the Rapsberry Pi Model B+ and has complete backwards compatibility.